More than 5% of the world’s species in less than 1% of its land area are found on the island of New Guinea. Few places on earth have comparable levels of biodiversity (as many bird and plant species as Australia, but 1/10th in size) and nowhere else can the exquisite Birds-of-Paradise and exotic Tree Kangaroos be found. The diversity in ecosystems, ranging from tropical grasslands, cloud forest, mangroves, to high elevation glaciers, is only matched by the variety of cultural groups spread throughout the island. 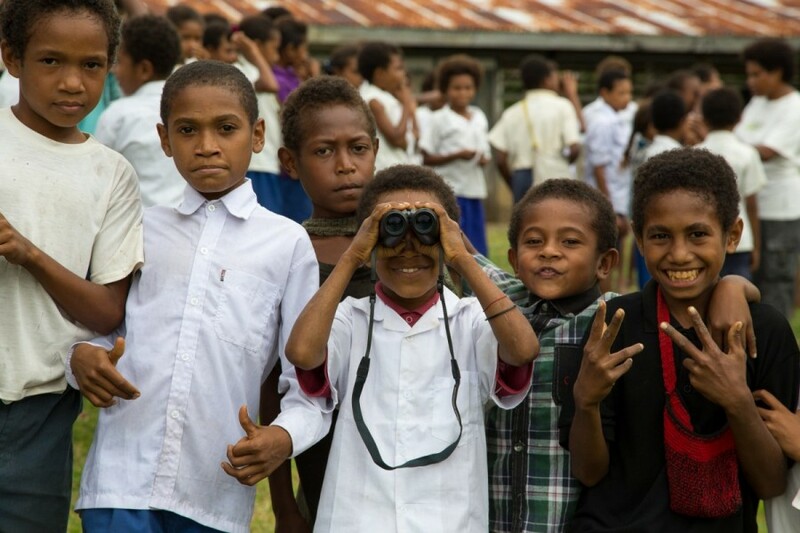 It is thought that nearly 1/5th of the world’s languages (1100+) are spoken in New Guinea! The remarkable biodiversity and expansive tracts of intact forest and savannah face anthropogenic pressure from increased impact of growing populations, climate change, and exploitation of fossil fuels and agricultural. Our goal is to conserve grassland and savannah in Papua New Guinea’s Milne Bay Province by providing local residents with the technical skills and information they need to wisely manage this extremely diverse, highly threatened, and poorly known habitat type. Please see this short film summarizing the project area and work to date. Our project area is the northern coast of the Milne Bay Peninsula, located in Milne Bay Province in southeastern Papua New Guinea. This area contains extensive grasslands and tropical savannah, which run in a long and narrow band between forested mountain ranges and the sea. These grasslands and savannahs are focus of this project. This habitat is poorly known scientifically, and accurate estimates of the biodiversity they contain are lacking. This habitat type has also been relatively neglected by conservation projects, which tend to focus instead on rainforest and coral reef environments. Yet it is clear that these tropical grasslands are hyper-diverse, with a range of microhabitats including small ‘islands’ (from 0.1 – 10 ha in size) of tropical rainforest that house distinctive biotas, surrounded by grasses, which in turn house their own distinctive and diverse suites of species. The core philosophy of this project is that conservation is not just for the community, but by the community as well. In other words, community members must play a lead role in designing and implementing the changes and improvements to their lives and surroundings. The role of this project is to provide local residents with the tools and information they need to do so. For this reason, training and education are cornerstones of our proposed activities. 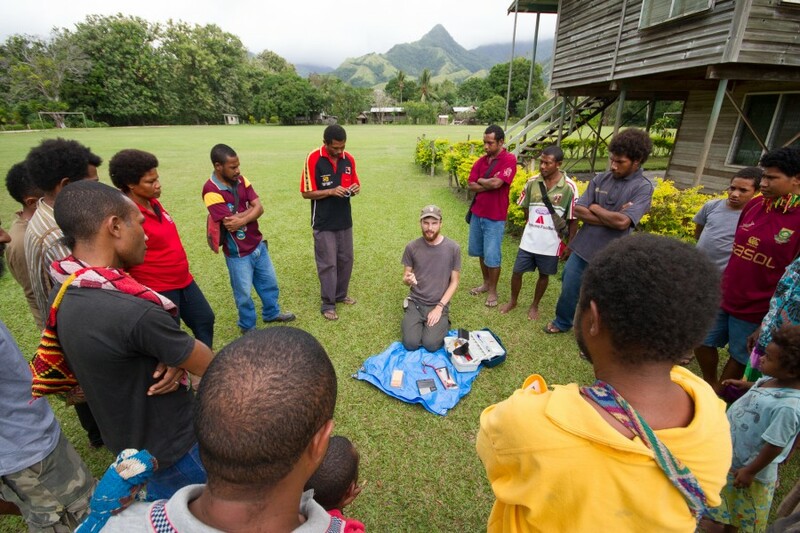 An important component of our work in Papua New Guinea is the training and employment of local residents as environmental ambassadors, similar to the successful Karubian program in Ecuador. We work closely with two local community members in Milne Bay Province, Serena Ketaloya and Gabriel Kareba, whom we have trained in research techniques and have become conservation leaders in their communities. Together with Tulane based researchers, these local conservation leaders have made presentations throughout local communities and performed workshops for training of community leaders in conservation techniques. 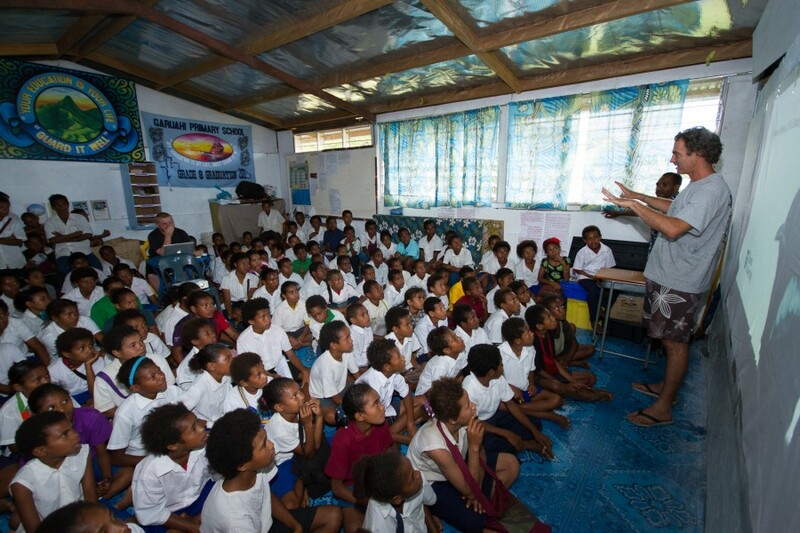 We have also begun to implement environmental teaching in local schools, which is headed by Serena Ketaloya, and has reached six schools on the North Slope of Milne Bay Province. Recently, Serena put on an environmental fair that was attended by over 500 local community members, where members from six local schools performed environmentally related music and art.